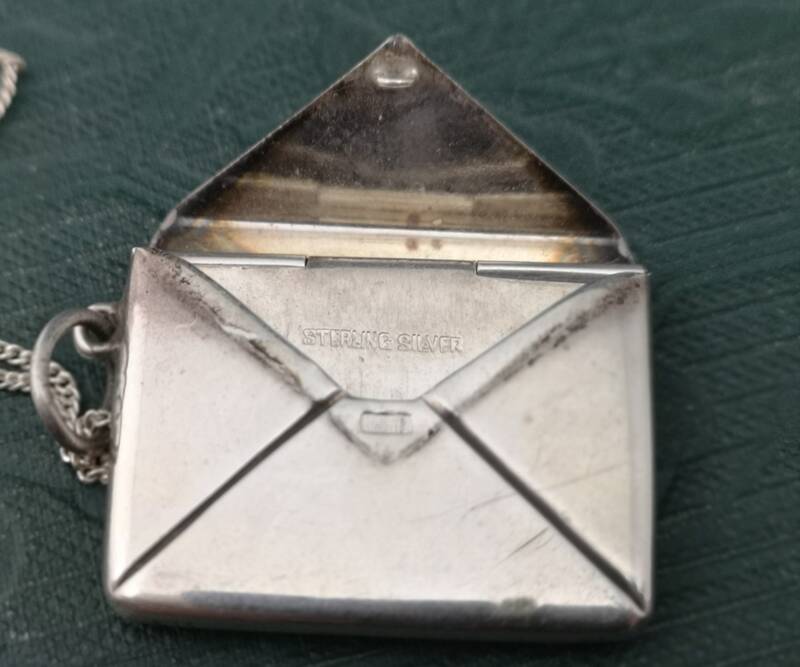 A charming Edwardian sterling silver stamp case in the form of an envelope which opens up to store stamps. 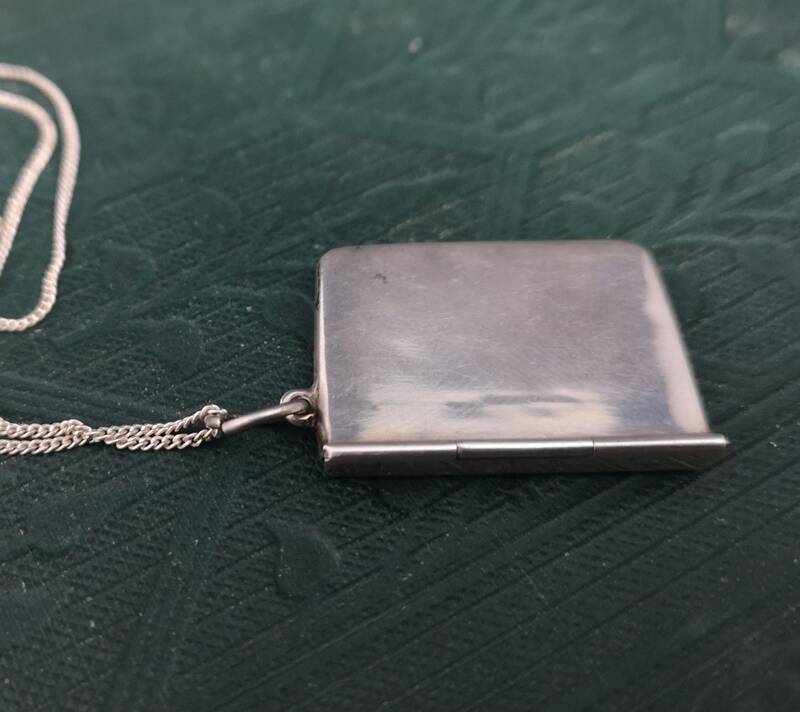 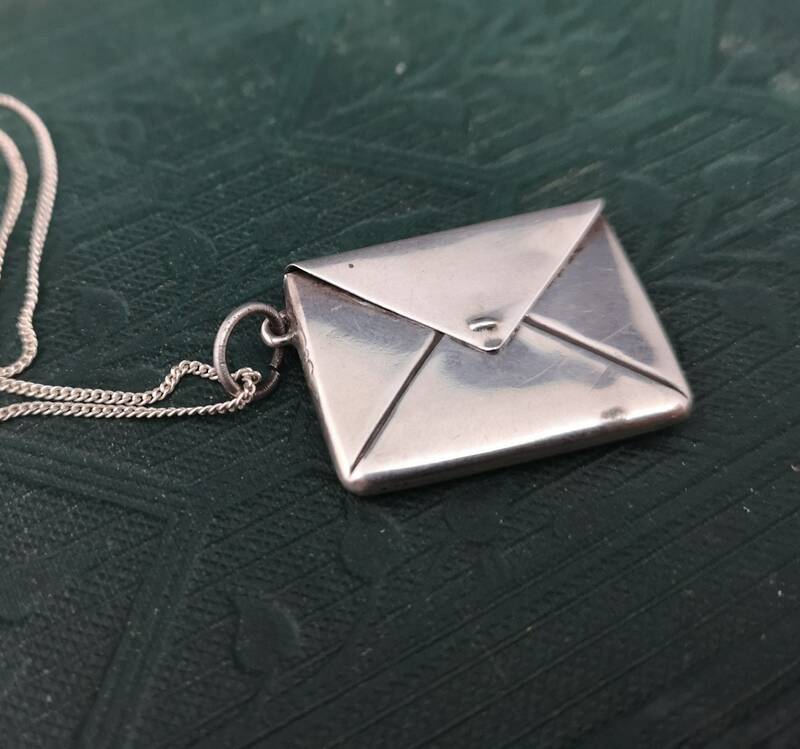 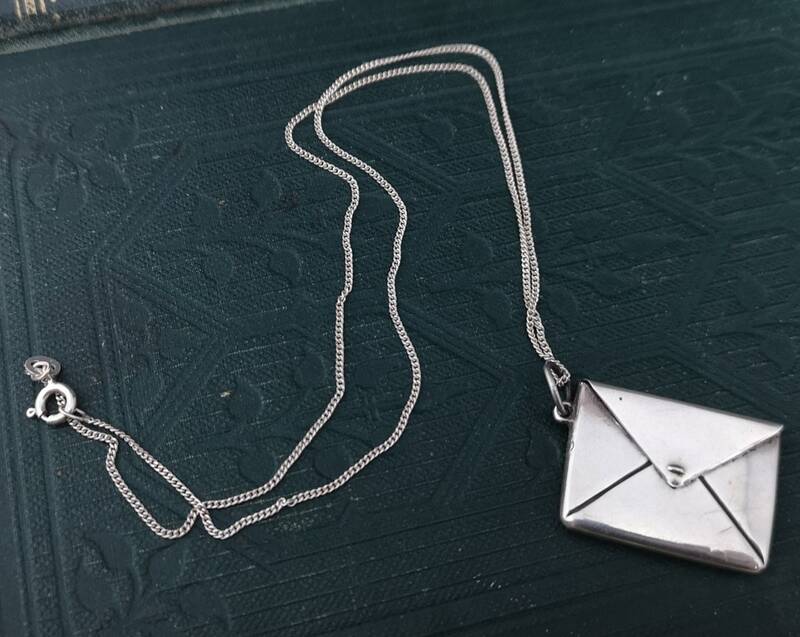 The envelope is attached to a sterling silver chain, a later one marked 925 on the fastener. 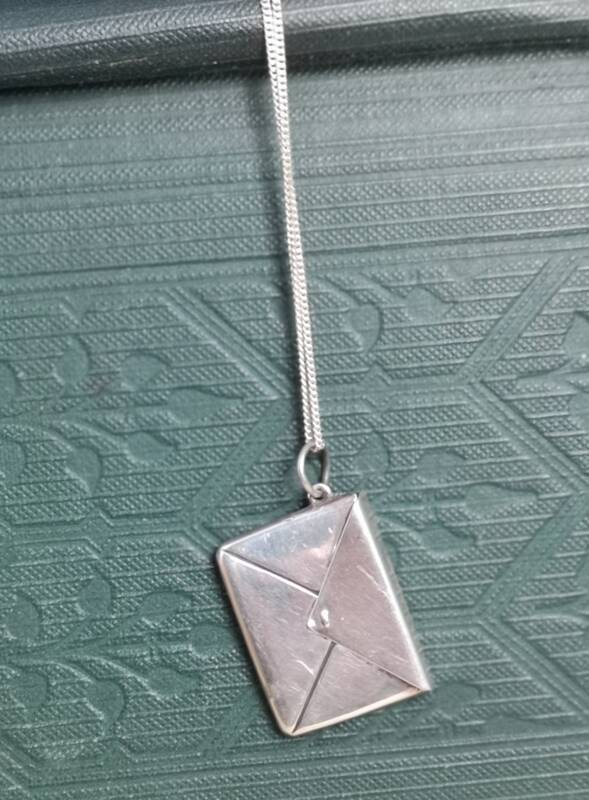 The envelope is marked inside sterling silver. 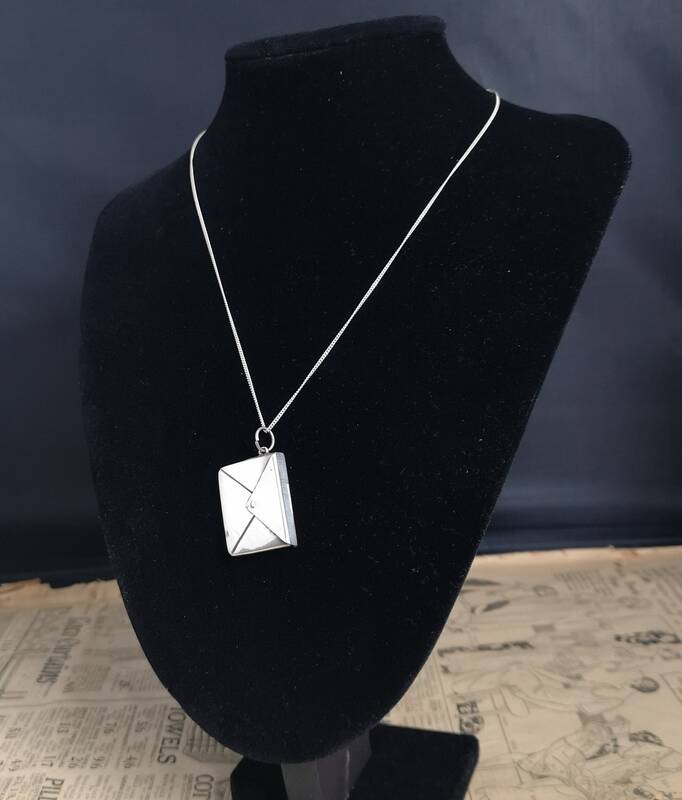 It would make a lovely gift, perfect for a long distance relationship or friendship with the sentiment of keeping in touch.